Romantic picnic along Ocean Drive in Newport, Rhode Island. CLINTON/MADISON, CT: no fudge shops or glitz and glamour here – just serpentine rivers, a quaint harbor, an anachronistic winery, a rustic flower and animal farm, one of the most highly regarded indie bookstores in the country, Connecticut’s only beachfront lodgingt, The Madison Beach Resort, and the best lobster roll on the East Coast (Lobster Landing/Clinton). INN AT MONTCHANIN VILLAGE, DE. Once housing the laborers who worked at the Hagley Powder Mills nearby, you can’t help but feel a sense of irony as you meander down “Privy Lane” – original latrines line the street where upscale guest cottages now stand. I’d wager the only upmarket lodging in America that features outhouses as a design element, The Inn at Montchanin Village maintains its historic value while providing you and your crush with the highest degree of service, amenities – and whimsy. REHOBOTH BEACH DE: Contemplate your relationship over soft custard ice-cream or great boardwalk fries on this Atlantic beach-getaway. A great LGBT-friendly town, incredibly good restaurants, sand and surf – it’s a summertime classic. It’s a lower-key, Mid-Atlantic version of Provincetown MA. LEWES, DE: Do you like a riot or color? A renovated “fisherman’s motel” now a Dogfish Head outpost? Or do you and your honey love the classic inn or B&B? You can have your pick in this eminently walkable, boutique-studded, fishing-charter, great restaurant town at the terminus of the Cape May (NJ) – Lewes Ferry. MILFORD/DOVER DE: Do you bond over history? Big military planes? Cool crafts? Try this eclectic getaway, and stay in Asian-Antique grandeur in a turnaround town winning kudos for its exquisite riverfront walkway and award-winning Arts and Crafts Gallery. Dover’s got the Air Mobility Command Museum, a Historic Green and plenty more to keep a certain kind of adventurous couple busy for a few days. PORSTMOUTH NH: Perhaps more than in any other New England seacoast town, it’s easy to imagine what life was like in this country when it was new and growing thanks to Portsmouth’s living history museum, Strawbery Banke, which isn’t a “museum” so much as a collection of 32 homes and establishments, most in their original locations and manned by costumed guides who interpret the lives and duties of the actual families who lived and worked in them. 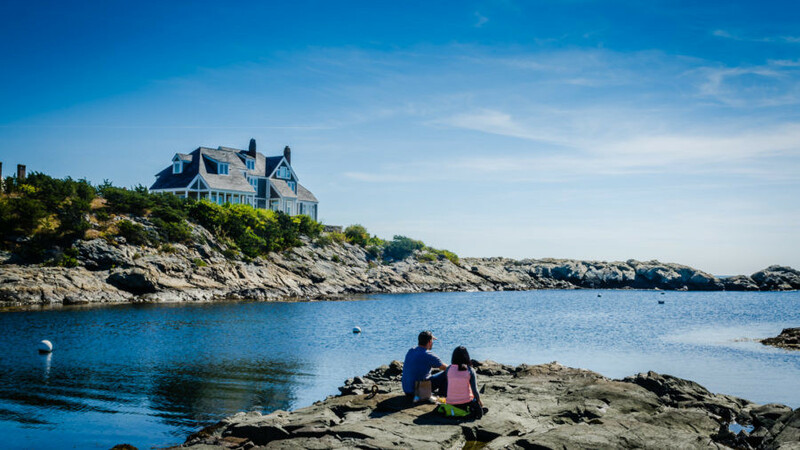 Just one of the draws of Portsmouth, this romantic seacoast town is also known for great dining, fun shopping and the Martin Hill Inn, voted “Best Garden Lovers B&B in New England” by Yankee Magazine. MORRIS COUNTY and SOMERSET COUNTY: Romantic history buffs – take heed. Alexander Hamilton and Elizabeth (Betsy) Schuyler fell in love in Morristown, and discovering where their relationship blossomed is but one fascinating aspect of the community that saw not one, but two Revolutionary War Winter Encampments. In Somerset County NJ, rich people of the Daddy Warbucks variety have died and left lavish gardens and Green farms –beaucoups land – for the rest of us to enjoy. Stay in the charming Bernards Inn, with rooms right out of George Washington’s “look book” and one of the best restaurants in the state. WOODEN DUCK B&B, Newton. If the two of you are into bird-watching, sitting by the pool, or just, “hanging out,” in a place that provides serenity and peace just an hour from New York City, you won’t find much better than this 10-room inn. WILDWOODS: Duos who groove to Doo-Wop will go wild for the Wildwoods in NJ. It’s got a Jetsons Meets Jersey Shore aesthetic, and more plastic palm trees than any other place on earth. JERSEY CITY NJ: The view. The food. The youthful, collaborative, entrepreneurial energy. And it’s all just one subway stop from downtown Manhattan. I cannot emphasize the vitality of this Hudson River city enough. You thought you knew “The City?” See it with your honey from a different perspective. Then chow down on some of the best food in the tri-state area. RED BANK, NJ: The perfect spot for hipster romantics. Two live theaters, quirky world-known stores (one owned by filmmaker Kevin Smith), some of the top restaurants in the USA, and one of the oldest ice-boat clubs in the country – and oh, yea, Jon Bon Jovi – draw a certain type of tourist. We’re not talking beach bums here. POINT PLEASANT NJ: Come off season and this normally family-crammed boardwalk beach town turns quiet and dreamy. Find out what’s open and what we believe to be the MOST ROMANTIC B&B on the Jersey Shore, bar none. CAPE MAY: Outdoorsy beer loving duos will love Cape May – at the tip of Southern New Jersey’s beaches – especially in the off season when Cape May Brewing presents its “Fireside Chats” outside on the patio. This Atlantic Ocean beach town swarms with tourists and annual visitors in the summer, but come late fall and winter, you’ll have plenty of room to walk the sand, visit the famous Cape May Victorian homes and dine well. Stay at the upscale oceanfront Montreal Beach Resort, built by gutsy Holocaust survivors in the 1960’s. LONG BRANCH: If you are the kind of twosome who wake up at ridiculous hours to watch the sun rise, and appreciate a funky, fantastic boutique hotel, you’re in luck. Long Branch NJ provides. Stay at the Novogratz-designed Bungalow Hotel, a block from the beach, and a stroll away from shops and great restaurants. ITHACA NY: Gorges and waterfalls aplenty. That’s all you need. But there’s so much more. JAMESTOWN/CHAUTAUQUA NY: Is your relationship like a sit-com? Then, plan a trip to the birthplace of Lucille Ball, Jamestown, now home to the fresh (in so many ways) National Comedy Center – an interactive museum you’ll never want to leave. And if you come during the summer season, plan a few days at the Chautauqua Institute down the road, where brainiacs, activists, politicos, the spiritual minded, and music and art lovers all converge for 9 weeks of lectures, classes, shows, and exhibitions centered around a different theme each week. SYRACUSE NY: Yes, it’s a college town. Syracuse was also a Canal Town (as in – the Erie Canal once ran right through downtown), and home to the first ever Dinosaur BBQ. But venture a few miles away – and lovebirds will fall for Beak & Skiff Apple Orchards where you can “pick-your-own” and then retire to the on-site 1911 Distillery – creator of the “Tipsy Cow” (Cold Pressed Coffee Vodka, Chocolate Milk, Coffee, topped with Whipped Cream and half a Cider Donut) – for an affair with a house-distilled concoction. SULLIVAN COUNTY NY (CATSKILLS); What’s sexier than the hallowed grounds of the Woodstock Music Festival? If you’re a Boomer, not much. But young-‘uns are discovering this reemerging portion of the Catskills, too, with chic inns, like The DeBruce in Livingston Manor, turning old boarding homes into foodie-approved lodging. ROCHESTER NY: Enlightened couples with playful natures will love this college town that also spawned the career of the inventor of the “film camera” – George Eastman. Susan B. Anthony lived here, and like the Eastman Museum, you can certainly visit her home. But your greatest number of hand-holding hours will be spent in the Strong Museum of Play, with every cherished plaything you’ve ever owned – even it was the original, terrifying, Thomas Edison Singing Doll. Stay in the Victorian-Romantic Ellwanger Estate B&B, home of a well-to-do horticulturist. Just imagine how beautiful the gardens are there. AUBURN/SPRINGSIDE INN. If the real possibility that Harriet Tubman helped hide escaped slaves in the thickets behind this luxury inn gives you goosebumps, and you are both fans of this American hero and want to pay respects at her grave, that’s reason enough to make a trip to this Finger-Lake side town. That, and the Springside Inn is a warm, welcoming and upscale place for couples – of any age – in love. NYACK NY: Take your favorite gal or guy to the newest edgy boutique hotel to hit the outskirts of NYC on the Hudson River. Hometown of American artist, Edward Hopper, Nyack was also the perfect vantage point from which to watch the progress of the “New NY” Bridge that just replaced old dangerous Tappan Zee. Nyack has long been known as a haven for artists, with cool shops and restaurants, but the recent addition of the boutique Time Hotel, has added another level of chic to this Hudson River Town. LONG ISLAND CITY AND ASTORIA, QUEENS: There’s an abundance of lovey-dovey stuff to do in this long ignored borough of New York City. For starters, THE VIEW – of mid-town Manhattan (UN Building, 59th St. Bridge, Chrystler and Empire State Buildings, etc), followed by an East River esplanade, a museum dedicated to the moving picture industry (now called “Hollywood,” but first studios were actually here), an edgy MoMa, sculptor Noguchi’s first showroom-now-museum, and lots more art. Stay at the Z NYC Hotel for your own private showing of Manhattan sunset and night lights – it’s honestly one of the best places to ask for his/her hand in marriage in The City. THE PIERRE, A TAJ HOTEL, NY NY: The Pierre sits on what is arguably the most photographed and filmed slice of New York City– the south east corner of Central Park. Within steps of Central Park Zoo, the Wollman Skating Rink, the Plaza Hotel and a slew of here now, possibly gone tomorrow horse-drawn carriages, The Pierre is the epitome of “Romantic New York” – quiet, lavish without being showy, and eminently elegant – all with that rare commodity: a friendly, anticipatory human touch. TIMES SQUARE, MANHATTAN. Really? That touristy of tourist traps in the whole NY City? Well, read on here to discover the classiest place to stay, unique restaurants and the one and only rooftop bar that will draw out the lovin’ feelings in even the most stoic man or woman. DREAM MIDTOWN MANHATTAN. With a double-decker rooftop bar (perched far above Late Night With Stephen Colbert Show), an underground arcade-bar for grownups, and a brand new and brighter look, this Dream is one worth staying asleep for. Especially if your loved one is right beside you. AKA WALL ST: George Washington was inaugurated President facing what is now the NY Stock Exchange – at Federal Hall. If you’re in Finance and he’s in Government – and you both appreciate a modern, minimalist boutique stay in the canyons of lower New York, AKA Wall St., steps from Federal Hall, is a fantastic choice. BROOKLYN BOUTIQUES: NU Hotel, Dazzler Brooklyn Hotel, BKLYN House Hotel. Ever notice that when any place on earth goes hipster, it’s called “The Brooklyn Of…..” or called out for being “Brooklyn-ized.” Well, there’s a reason for that. Brooklyn, the most populous of New York City’s five boroughs, has a special aura. You could call it ruggedly individualistic, artsy-entrepreneurial, a promised land for creatives. And yes, immensely romantic. And guess what? Boutique hotels to fit every purse and mood are cropping up all over the place. Doing business or visiting your kids nearby? Book a room at either Dazzler Brooklyn Hotel in Brooklyn Heights or NU Hotel in Cobble Hill – both a short subway ride to downtown Manhattan and a mile or so to Barclay Center. For the more adventurous “fringe-art” fan, try Bushwick’s BKLYN House Hotel. RITZ CARLTON WESTCHESTER: White Plaines. White Plains, NY might not leap to mind as a particularly romantic city, but what sits at its center is. This Ritz Carlton houses the largest Spa in Westchester County, and the only one on the east coast with ultra-relaxing Japanese Soaking Tubs. CALDWELL HOUSE B&B, SALISBURY MILLS NY: There are shamrocks everywhere in the Caldwell House, a beautiful four-leaf-clover of a Bed and Breakfast in the Hudson River Valley. A stately home built in 1803 by a wealthy merchant from Ireland, you don’t need to have the luck of the Irish to be assured a superb stay here. A favorite with honeymooners, you might not want to leave your guest room with fireplace and downy bedding, but if you do, Woodbury Common Premium Outlets, The 1839 Brotherhood Winery (oldest operating winery in the USA), Storm King Outdoor Sculpture Center and West Point Military Academy are just minutes away. UPPER AND LOWER KINGSTON: Lovers who love Maritime and American History will adore this Hudson River town. Not only is it steeped in Colonial atmosphere – Kingston boasts some of the most beautiful murals in the country, and Brooklyn shops are moving in. NEW PALTZ/HIGH FALLS: If stone homes turn you on, you’ll find your bliss in this Hudson River Valley town, where you can tour some of the oldest in the country (Historic Huguenot Street) and stay in one (Stone House B&B). Learn about the Canal Barges that plied the short-lived D&H Canal, and commission an artisanal blacksmith to forge something special for you. BUFFALO NY: Buffalo as a romantic destination? Yes! Especially if you stay at The Mansion on Delaware where a personal butler is on call 24/7. Just 20 minutes from that Newlywed Destination of old, Niagara Falls, with a burgeoning brew and culinary scene (far beyond the famous wings), a redone Lake Erie waterfront, and lots of Frank Lloyd Wright charm, this proud city is back. And new for 2017, the HH Richardson designed Insane Asylum has been restored as the uber cool Hotel Henry. FINGER LAKES, NY – KEUKA AND SENECA: Wine, freshwater lakes surrounded by rolling vineyards, a growing food scene and charming B&B’s – the Finger Lakes in New York are distinctively built for romance amidst the fruits of the vine. For the ultimate foodie weekend, stay in the adorable Pleasant Valley Inn in Hammondsport. Newly renovated, with just four small but charming rooms (just $158 per night! – includes hot buffet breakfast), it’s got one of the top restaurants two steps from your bed. BUTTERMILK FALLS INN, MILTON, NY: There’s something divine about the sunrise over the Hudson River and this simple pleasure can be yours on blue-sky mornings at this lyrically set inn – one of the best places to escape New York City with your soulful honey. Bring a book and an appreciation for farm animals, leisurely strolls and the simple life. BEACON, NY: It’s got just the right amount of cute and eccentric for you and your artsy companion. When large art-installation museum, DIA:Beacon, opened in 2002, it gave culture hounds a reason to come upriver for the day. As more people came, artists, chefs and aspiring retailers did, too. And then, in late 2012, the superb boutique hotel – Roundhouse at Beacon Falls – measuring up to the standards of those urbane museum and gallery goers finally opened in Beacon, creating the perfect overnight arts, shopping, and wine and beer-sipping romantic Getaway. SLEEPY HOLLOW/TARRYTOWN NY: One of the most charming, ivy-blanketed cottages on the Hudson River was actually owned by a confirmed bachelor – and a famous one at that. Washington Irving, who brought us Rip Van Winkle and the Headless Horseman, lived in a home made for romance. But there are so many other places that lovebirds can explore, and at least one “royal” place to stay in this Westchester County hamlet just 30 minutes from NYC. WOODSTOCK and PHOENICIA: Grab your sporty, hippy pal for this mountain escape. Hike, ski, go tubing, join a drum circle, and then plan to stay at the just renovated Emerson Hotel and Spa in this artsy part of the Catskills. NORTHERN CATSKILLS/GREEN COUNTY NY: You could say that America’s great love affair with the “wilderness” began here. Thomas Cole, father of the Hudson River School of Art, painted Kaaterskill Falls and the mountains and wilds of this valley in the early 1800’s, spawning a thirst for travel here. You can still go hand in hand on a rooty, rocky half mile (each way) hike to the Falls, or mountain bike down ski trails, or catch a concert, and then stay in a lovely historic B&B. LAKE GEORGE, BOLTONS LANDING NY: There’s nothing like a Lake George sunrise or sunset to spark (or re-spark) a romantic flame, especially if you are watching it from your room at the iconic Sagamore Resort. Take your beloved on a spin around the lake with your private guide through Love is on Lake George Boat Tours. It’s the perfect opportunity to pop the question, or “re-pop” it, as the case may be. SARATOGA SPRINGS NY: Soaking in warm mineral water is like “bathing in champagne” – a most exquisite feeling. Saratoga Springs was one of the country’s original “spa” towns, and remains ideal for treatments and health-oriented lovers. There’s also the horsey aspect – it’s where Carly Simon’s vain, gavotting guy’s horse “naturally won,” and you can watch future American Pharaohs go through their paces, too. ADELPHI HOTEL, Saratoga Springs NY: After a 5 year renovation, the Adelphi has managed to recapture its original intent: to impress the jaded, to indulge luxury guests, and, most effectively, to please the eye. It’s a place to impress your honey, for sure. COOPERSTOWN NY: Have you bonded over “America’s Favorite Pastime” (Baseball Hall of Fame) or beer (Ommegang)? Then this town, far from any interstate, will thrill. Throw in a New York themed carousel with characters carved by history teachers, a pristine lakeside golf course and stunning renovated waterfront hotel (Otesaga), and you’ve got the makings for a heart-felt getaway. RHINECLIFF HOTEL NY: A hundred miles from NYC, right up the Hudson River, this renovated “Railroad Flophouse” is now a trendy, reclaimed inn just a couple of miles from downtown Rhinebeck NY. With dead-on views of the Hudson River from your balcony, and starting at just $99 off season, this is a hipster-couple – and Getaway Maven – favorite. HUDSON NY: If the website Etsy was an actual place, it would be Hudson, NY, an artsy town on the Hudson River that has managed to out-Brooklyn Brooklyn in cutesie-pie-ity. This escape is for the couple looking to furnish their nest – and fuel a bit of passion while they’re at it. WEST POINT NY: Are you the kind of patriotic couple who salutes each other at home? Then, you’ll want to stay a night or two at the updated and now luxurious Thayer Hotel on the campus of West Point Military Academy. Take a tour, learn about the place that makes officers out of cadets, and moon over each other and the “Million Dollar View” of the Hudson River. EASTERN LONG ISLAND: What’s your pleasure? The quiet wine region of the North Fork? The remote must-get-to-it-by-boat Shelter Island, the rising hipster cred but ultimately laid back Montauk or the see and be seen Hamptons? Cue There’s A Place For Us from West Side Story, and choose one (or all). BRANDYWINE VALLEY/CHESTER COUNTY PA and HERE: it’s got one of the most celebrated Botanical Gardens in the world (established by Pierre Du Pont), three generations of Wyeths, several “hidden towns” and The Blob. What more could art, flowers, mystery, and B-Movie aficionados desire? INDIANA COUNTY PA: With Jimmy Stewart and Punxsutawney Phil (Groundhog Day) as hometown “boys,” this mid-PA region can’t help but be all warm and fuzzy. Indiana PA is a college town with lots of good eats and a youthful energetic vibe. OMNI BEDFORD SPINGS: What began over 200 years ago as a healing retreat centered around what was believed to be curative spring water has become one of prettiest golf and spa resorts in the East. With a complete overhaul over 10 years ago, bringing the property from drab to fab, OBS is the place to book when you want to park once and stay. For days. Or weeks. RAYSTOWN LAKE REGION: You will not find a more pristine, remote, untouched, serene public access lake anywhere in PA. The ultimate Romantic treat: rent a houseboat for a few nights and just be by yourselves. According to those in the know, there is nothing better than sitting on the top deck hot tub in the middle of Raystown Lake on a moonlit night. “It is heaven on earth,” says one fan. Alternately, book a room at the Gage Mansion in Huntingdon. This stately home of a wealthy railroad executive is now owned and run by Angie and John Thompson, founders of the delightful Thompson Candle Co.
INN @ RAGGED EDGE, CHAMBERSBURG: How dreamy is this place – smack in farm country PA? Dreamy enough to bring World-Class classical music to the locals. And it all began with the purchase of a $100,000 gorgeously restored piano. This inn would be incredibly romantic, anyway, with river views out back. HERSHEY, PA; Hot Cocoa Baths, Kisses on your pillow. Nuff said. PHILADELPHIA, PA. Philly as a romantic destination? Yes. And why give your special someone flowers when you can get him/her the whole garden. Here’s the perfect Getaway for the flora-loving couple. INN AT BOWMAN’S HILL, NEW HOPE, PA: The owner of this estate is an unabashed romantic – eager to make all of your dreams come true. Luxurious and secluded, this farmland-set lodging is perfect for a celebrating twosome. UPPER BUCKS COUNTY PA: Ringing Rocks, a Handbell Factory Tour, one of the most innovative restaurants and a luxury inn with the most sensational mosaic showers show lovebirds there’s more to Buck’s County than just New Hope (though that’s great, too). HOTEL FAUCHERE, MILFORD PA: Established by a top NYC chef in the mid-1800’s, this Main St. Milford hotel has drawn hundreds of Bold Faced actors, writers, and politicians (including US Presidents). As a Relais & Chateaux property, Fauchere excels at personal service. Two in-house restaurants are outstanding and rooms are contemporary and bright with beds topped with cloud-like duvets you’ll never want to leave. HAWLEY PA: A tiny town, a big lake, an Ice-Carving Factory, and the largest hand-carved bluestone building in the world, Hawley PA is a magnet for families in the summer who recreate in one of the largest bodies of water in Pennsylvania- Lake Wallenpaupak. But adoring couple will want to visit offseason, though, for greater pleasures. Hawley harbors three upscale inns – The Settler’s Inn, a Craftsman Style beauty, the second- Ledges – a contemporary wonder set inside a whitewater gorge, and the latest – the Lake Wallenpaupak-set Silver Birches. NEMACOLIN WOODLANDS RESORT PA: What is Nemacolin? It’s a wildlife sanctuary. It’s a small-plane airport ( just don’t ask who’s flying in on his/her private plane). It’s an award-winning golf course (Pete Dye designed Mystic Rock, The Links) and Golf Academy. It’s a Holistic Healing Center and spa for both humans and animals. It’s an Art Museum with a collection valued at $45 million. It’s an antique car museum, a prop-plane museum and an official Jeep Driving Academy. It’s got a climbing wall, a zip-line, x-country skiing, tubing, horseback riding, dogsled rides, canopy tours, paintball. There’s even a piece of the Berlin Wall on the property. Nemacolin is a deliriously wacky, extravagant, homey, friendly, fun whirlwind of a place. And, along with all of this, it’s got a couple of top luxury hotels on the property (take your pick – Paris Ritz or Frank Lloyd Wright style). To top it off, its just a few minutes drive to Fallingwater and Kentuck Knob – two of Frank Lloyd Wright designed homes open for tours. PITTSBURGH PA: Have you forged a relationship over movies? You may be surprised to find that some of your favorite flicks were made in this West PA city. Take a Lights, Camera, Action tour and you may see a Hollywood star at work on another project. PITTSBURGH PA: If you bond over whisky, art museums, and flowers, Steel City has it all. Pitt was the boyhood home of Andy Warhol, has one of the country’s best Botanical Garden conservatories, and was where the first American rebellion against the newly formed government began in 1794. Got a bit of rebel in you? This Pittsburgh escape will thrill. Where to stay? Walk through the door of the newly renovated Renaissance Pittsburgh and the place just oozes amore. It’s lobby, awash in purple light, sets the mood for one rapturous weekend. LODGE AT GLENDORN, BRADFORD PA: Built as an exclusive hunting hideaway by a wealthily oilman, the Lodge at Glendorn is now a perfect escape for Upland-Bird hunters and Fly Fishermen/women who appreciate a roaring fire, a game of billiards and a five-star meal at the end of the day. As I mentioned in the linked post, a stay here makes for a most appreciated Anniversary or Birthday gift for the best friend you just happen to live with. READING/BOYERTOWN: Ah the romance of train travel – especially the kind of cushy travel our Victorian ancestors enjoyed. This getaway is all about finding art and history in surprising places. Not exactly known as a destination for lovers, reinvented Reading and its environs nevertheless has a captivating castle-like inn, the Stirling Guest Hotel, for those who wish to feel like the lord and lady of the manor. LODGE AT WOODLOCH, HAWLEY: If you are a couple in need of a Spa Immersion weekend in the PA Woods, you are in luck. One of the World’s Best Destination Spas is just a short drive from New York and Philly. Staff is friendly and unpretentious, rooms are luxe, food is top-chef excellent and unlike at another top spa that shall not be named here, you can get wine or beer with your meals. BENNINGTON VT: This was Robert Frost’s “Road Less Traveled” and in fact, America’s famed rural poet is buried in this Vermont burg just over the Massachusetts border. The lush, green mountains around are the defining aspect of this region – inspiration for poets and artists like Frost, Grandma Moses and Norman Rockwell. And for poetry-spouting twosomes as well. Stay in finery in a grand Federalist inn, The Four Chimneys Inn – perfect for the couple seeking a Victorian-age “summer in the mountains” experience along with lightening fast wi-fi access. This is a great list of vacation destinations. The only problem I have is deciding which ones I want to go to. I kind of want to go to all of them. However, I think I would start with the Virginia destinations. I have only been in Virginia once, but it is a really gorgeous place with the green rolling hills. Yes, James, it’s tough trying to decide where to go. 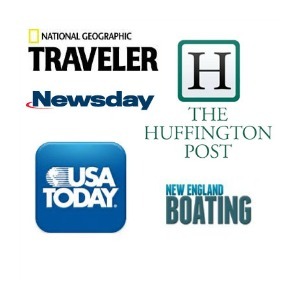 Each and every place I write about is my “favorite” at the time! Thanks for reading and commenting! Thank you for your blog. I have been to Winchester, VA but I will need to get to the rest of your list! Have fun finding your new favorite place. this this web page conations really nice funny material too. Great informational piece! I like how every romantic destination is right here. Thanks for writing.